It was the close friendships that Kohl built up with other world leaders that helped him persuade both anti-communist Western allies and the leaders of the collapsing Soviet Union that a strong, united Germany could live at peace with its neighbors. “The world has benefited from his vision and efforts. His legacy will live on,” he said in a statement. Famed for his massive girth on a 6-foot-4 (1.93-meter) frame, Kohl still moved nimbly in domestic politics and among rivals in his conservative Christian Democratic Union, holding power for 16 years until his defeat by center-left rival Gerhard Schroeder in 1998. That was followed by the eruption of a party financing scandal which threatened to tarnish his legacy. Kohl’s legacy includes the common euro currency — now used by 19 nations — that bound Europe more closely together than ever before. Kohl lobbied heavily for the euro, introduced in 1999, as a pillar of peace — and when it hit trouble more than a decade later, he insisted there was no alternative but for Germany to help out debt-strapped countries like Greece. 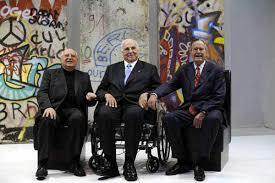 Kohl served longer than Konrad Adenauer, West Germany’s first post-World War II chancellor and his political idol. Only Otto von Bismarck, who first unified Germany in the 1870s, was chancellor longer, for 19 years. “Voters do not like Kohl, but they trust him,” Rita Suessmuth, a former speaker of parliament, once said. Often harsh and thin-skinned, Kohl also could display a quick wit and jovial earthiness. He ate pasta with Clinton and took saunas with Russia’s Boris Yeltsin. Still, the “blooming landscapes” that Kohl promised East German voters during reunification were slow to come after the collapse of its communist economy, and massive aid to the east pushed up German government debt. He also drew criticism for failing to embark on economic reforms. 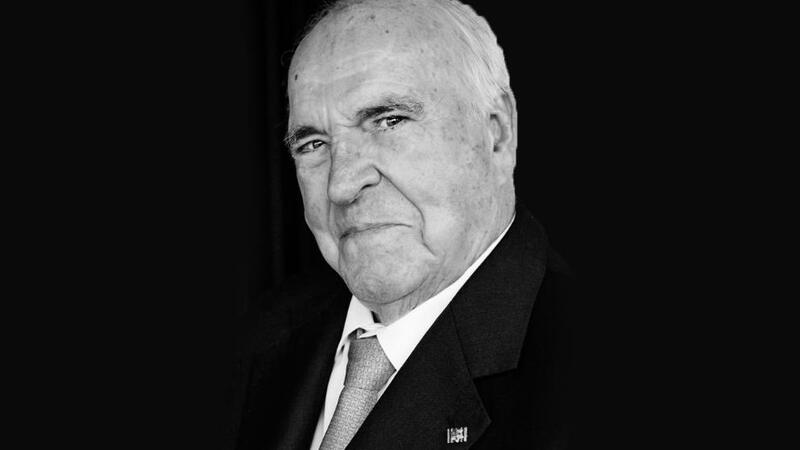 Born on April 3, 1930, in Ludwigshafen, a western industrial city on the Rhine, Kohl joined the Hitler Youth but missed serving in the Nazi army. As a 15-year-old, he was about to be pressed into service in a German anti-aircraft gun unit when World War II ended. His oldest brother, Walter, was killed in action a few months earlier. 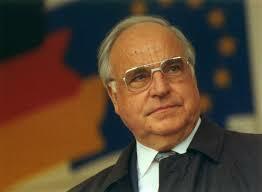 Kohl was reluctant to view united Germany as a major power because of its Nazi past. Still, he slowly edged his country toward greater responsibilities in the 1990s, as Germany sent troops for U.N. humanitarian missions in Cambodia, Somalia and elsewhere, and deployed peacekeepers to Bosnia. He pursued reconciliation with Germany’s eastern neighbors, though some critics said he moved too slowly after the fall of the Iron Curtain. “It was real luck that at that difficult time leading nations were headed by statesmen with a sense of responsibility, adamant about defending the interests of their countries but also able to consider the interests of others, able to overcome the barrier of prevailing suspicion about partnership and mutual trust,” Gorbachev said Friday in a statement released by his foundation. Kohl’s earlier bridge-building with the U.S. also paid off. The stationing of U.S. Pershing II missiles in Germany starting in 1983, despite huge domestic protests, had established trust in Washington that was crucial to creating a single German state. He praised former British Prime Minister Margaret Thatcher for her honesty, even as he recalled a confrontation with her just days after the fall of the Berlin Wall. “I cited a 1970s-era NATO statement and said that NATO supported reunification. … Thatcher stamped her feet in anger and screamed at me, ‘That’s how you see it! That’s how you see it!’” he wrote. Another gesture of friendship and reconciliation the following year turned into a public relations fiasco. Kohl’s trip with then-U.S. President Ronald Reagan to a war cemetery in Bitburg where SS troops were buried alongside ordinary German soldiers generated international indignation. Kohl’s relationship with Gorbachev, the last Soviet leader, also had to overcome early turbulence. In a 1986 interview, Kohl was quoted as comparing Gorbachev’s public relations skills with those of Nazi propaganda minister Joseph Goebbels. The Soviet Union protested. Elation over German reunification ebbed amid the harsh realities of its cost and the difficulties of integrating east and west, but Kohl’s coalition squeaked by again in 1994. Yet high unemployment and Germans’ yearning for change gradually sapped his authority, provoking a humiliating loss to Schroeder’s center-left Social Democrats in 1998. The following year, Kohl plunged his party into crisis when he admitted accepting undeclared — and therefore illegal — donations during his time as chancellor. Kohl refused to identify the donors. When Bonn prosecutors launched an investigation into possible breach-of-trust charges in January 2000, Kohl was pressured to give up his party’s symbolic honorary chairmanship — notably by Merkel, a longtime Kohl protegee who served for seven years in his Cabinet and followed him into the chancellery in 2005. In a 2001 deal with Bonn prosecutors, the probe was dropped in exchange for a 300,000-mark fine (about $140,000 at the time) — giving Kohl the legal stamp of innocence. That was a common German practice but judicial investigations into other figures in the murky financing scandal continued. Kohl’s estrangement from his party lasted until 2002, when its new leaders invited him to speak at a convention as they sought to regain power. The former chancellor was married for 41 years to Hannelore Renner, an interpreter of English and French who stood firmly but discreetly by his side. They had two sons, Peter and Walter. Though slowed by illness in his later years, Kohl still made occasional eye-catching interventions on the political stage. As Merkel struggled to convince center-right lawmakers in 2011 of the wisdom of having Germany finance further bailouts of other eurozone nations, Kohl weighed in firmly. “There must be no question for us that we in the European Union and the eurozone stand by Greece in solidarity,” he declared. He also appeared to question Merkel’s approach at a time when conservatives were unsettled by her decision to speed up Germany’s exit from nuclear energy and by Germany’s abstention in a U.N. vote on a no-fly zone over Libya. “I ask myself where Germany stands today and where it wants to go,” he said. 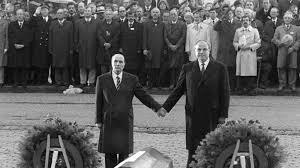 Despite their differences, Merkel made clear Friday that Kohl had touched her life deeply when he helped forge a united Germany. Associated Press writers Frank Jordans and David Rising contributed to this report.